A New Regency Romance from Chula Stone! Our new release for you this week is a wonderfully sweet and romantic Regency-era novel from Chula Stone. The Admiral and the Orphan tells the story of a stern naval officer and the fiery, undisciplined girl he takes as his bride and then takes firmly in hand. The last section of Swept Off His Feet is also waiting for you below, and we'll be starting a new free novel next week. If you haven't had a chance to read this one yet, make sure you don't miss your chance! On a similar note, this week is also your last chance to take advantage of the great prices on the October sale items before new sale items are unveiled next weekend. Kyla O’Guinn was forced to fend for herself over the years since her father died at sea, and by the age of twenty she has grown quite adept at petty theft. Yet when she attempts a burglary at the home of the Baron of Tynell, her luck runs out and she is caught red-handed. As a former admiral accustomed to enforcing strict discipline when it is necessary, the baron decides to handle her chastisement personally, and soon she is over his knee for a sound spanking. The admiral finds himself captivated by Kyla from the moment he sets eyes on the feisty Irish girl, and when he discovers that she is the daughter of a man who gave his life for king and country while serving under his command in the Royal Navy, he takes it upon himself to see that she is provided for. His enchantment with her intensifies after they share a kiss in an unguarded moment of passion, but in a fit of pride she refuses his charitable assistance and flees his home. In the days that follow he grows ever more firmly set on doing right by Kyla, and when at last he finds her in a workhouse, he makes it clear that he will be looking after her from now on, whether she likes it or not. Sensing his determination—and admitting to herself that the thought of being the handsome admiral’s bride sets her heart racing—Kyla accepts his offer of marriage. After the wedding, it doesn’t take long for Kyla to realize that she has quite a bit to learn before she is ready for life as a baroness. Her new husband soon proves that though he is a patient and loving man, he expects obedience from his wife and is more than ready to deal sternly with behavior unbecoming of a lady. Despite his firm discipline, Kyla’s love for him grows with each passing day, but can an orphan ever truly find a place in society at the side of an admiral? Publisher’s Note: The Admiral and the Orphan contains spankings of an adult woman, including domestic discipline in a historical setting. If such material offends you, please don’t buy this book. “You can and you will. Now, do as you are told or it will be the worse for you.” He held his breath, hoping she would comply. New! Read Chapter 6 and the Epilogue! Did you miss Chapters 4-5? You can find them in October 18th's newsletter. Did you miss Chapter 3? You can find it in October 11th's newsletter. Did you miss Chapters 1-2? You can find them in October 5th's newsletter. 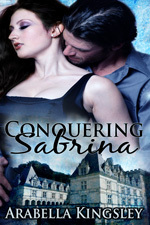 Sara Fields' first book with Stormy Night, Claimed by the General, spent the last few days on Amazon's Top 100 list for the Historical Erotica category. Congratulations, Sara!